Can Old Navy Drive Growth For Gap Inc. In Q4? How Much Will Old Navy Contribute To Gap Inc.’s Top Line Growth In The Next 3 Years? How Did Gap Inc. Perform In Q4 2017? Can Gap Inc. Close Out Its Financial Year On A Strong Note? Why Did Gap Brand’s CEO Exit The Company? With a change in the retail landscape, through a shift toward the online channel, there is a possibility of a new avenue for growth for retail companies. A focus on the digital space will prove to be imperative for retail companies to stay relevant in today’s environment. A number of retailers have been heeding this trend, and have been reaping benefits. But are they doing enough? For many retailers providing an enriched online experience comes at the cost of website performance or vice versa, as cramming the website with content and third-party applications slows it down, according to Nikki Baird, Managing Partner, Retail Systems Research (RSR). However, in a competitive environment like today’s, it is imperative a company focuses on both, rather than making a trade-off. Such a step would be highly beneficial to retailers, as it would provide an uplift to their revenues, while at the same time leave customers more content. 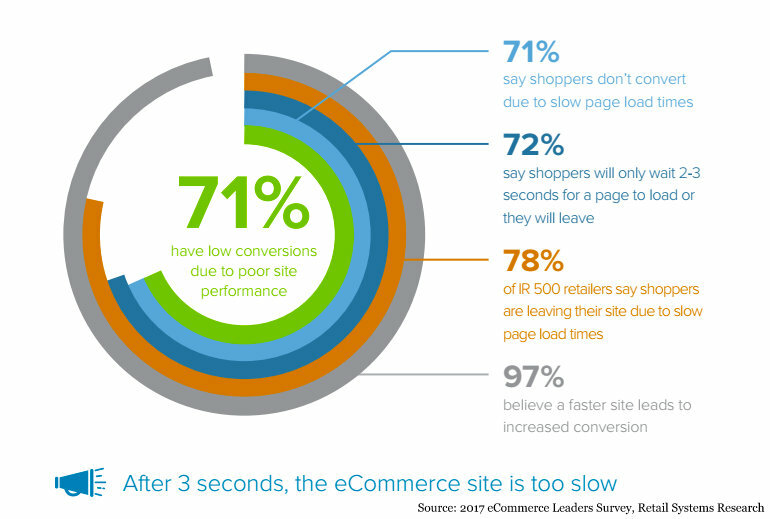 In a research paper published by RSR, which included the evaluation of 80 top online retail sites and interviews with 125 leaders from a wide range of e-commerce sites, it was found that 97% of the respondents believed that website performance has a direct link with their online revenues, with 78% saying “shoppers are leaving their site due to slow page load times.” Many retailers believe that if the page doesn’t load in less than 3 seconds, shoppers would start leaving their website. The more troubling news is that 71% of retailers feel that they have lost conversion due to a poor web performance. 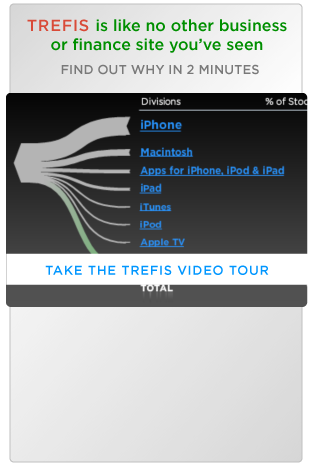 The survey results show that retail websites absolutely need to load faster. 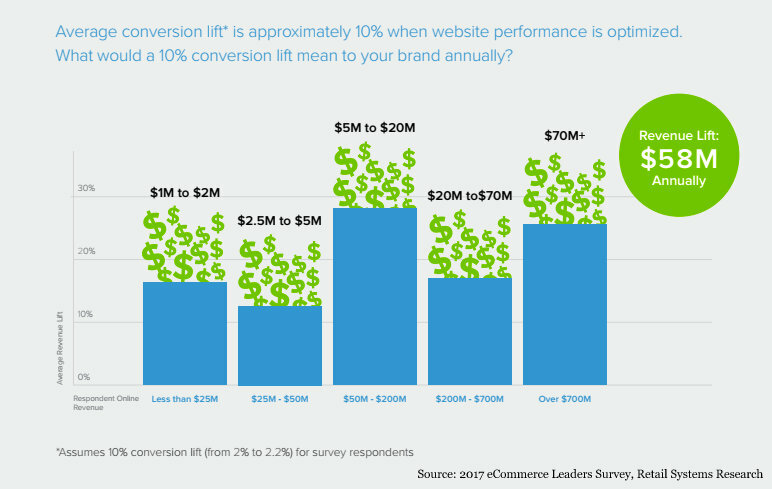 While some companies have reported increases in the rate of conversion by up to 20% when the website performance has been optimized, on an average a 10% improvement has been found. This implies a revenue lift of roughly $58 million annually, which is no small sum. While it is imperative a retailer deliver rich and engaging content on its website, it should be provided along with a fast and hassle-free web performance; otherwise, it can prove to be costly.